Hawken has the largest financial assistance or Flexible Tuition budget of any private school in Ohio. In the 2018-2019 school year, $8.9 million in financial assistance was awarded to 43% of the student body. For the 2019-2020 school year, that budget increases to $9.6 million. The average income of a family receiving tuition reduction from the School is $133,000, and the range of flexible tuition grants offered to students is $1,000 to $29,500. We encourage families to request further information about Flexible Tuition if they have concerns about their ability to afford our full tuition. Applications completed outside the above timeline will be considered on a rolling admission basis and may be subject to limited space and/or Flexible Tuition. Complete a Parents’ Financial Statement (PFS) at School and Student Services (SSS by NAIS). Hawken’s SSS code is 3778. Upload the required supporting documents to your account at SSS by NAIS. For detailed instructions, please read our Flexible Tuition Application Procedures. Flexible Tuition is a need-based tuition assistance program similar to those used by many private schools, but with a focus on helping middle class families join Hawken. This program allows families to apply for reduced tuition, taking their financial circumstances into account and making a Hawken education affordable to qualified students who could not otherwise join our school community. Instead of “receiving financial aid,” families pay the amount of tuition that makes sense for their financial situation. At no time will the amount of reduced tuition need to be repaid to Hawken. Why does Hawken offer Flexible Tuition? At Hawken, we believe that to prepare students for the real world our community should mirror that world with a student body that is coeducational and representative of all ethnicities and socio-economic backgrounds. Socio-economic diversity is one of Hawken’s largest strategic priorities. To achieve this goal, Hawken is committed to providing a reduction in tuition to excellent students whose families qualify. Hawken has adopted a Flexible Tuition Program to ensure that middle income and upper middle income families are better represented in our school population. Is my family eligible for Flexible Tuition? There is a wide range of families who qualify, from those who can afford only minimal tuition to those who can afford almost full tuition. Flexible Tuition is offered to students in Grades K - 12. Each year, Hawken School awards over $8.9 million to approximately 43% of the student body. Incomes for families in the Flexible Tuition Program range from minimal incomes up to $350,000. We recognize that every family situation is different and that even a small amount of reduced tuition can make a critical difference for many families. Hawken encourages all families to apply for Flexible Tuition if they think they may qualify. In 2016-2017, Flexible Tuition amounts ranged from $1,500 to $28,000. Will filing for Flexible Tuition diminish the chances of my child being accepted to Hawken? Admission applications and Flexible Tuition applications are reviewed separately, and submitting an application for Flexible Tuition has no bearing on an applicant’s admission decision. In addition, Flexible Tuition applications are confidential. Information is viewed only by the Flexible Tuition Committee, and only the Committee and the Business Office see the amount of reduced tuition a family pays. All flexible tuition decisions are considered to be confidential agreements between Hawken School and the recipient family, and should be treated accordingly. Faculty and administrators are not privy to any financial materials, nor are they aware of which families apply for Flexible Tuition. How do we apply for the Flexible Tuition Program? Hawken subscribes to School and Student Services by NAIS (SSS) to process Flexible Tuition applications. SSS is a service of the National Association of Independent Schools (NAIS), and is used by over 2,000 schools across the country. Families interested in applying for reduced tuition may begin the application process as early as October 1. The Flexible Tuition application is separate from the admission application, but should be completed at the same time in order to receive greatest consideration for a reduction in tuition. Complete instructions are provided in the Flexible Tuition Program Application Procedures. Prospective families who complete the application process by the necessary deadlines will receive notification of a reduced tuition amount with their child’s admission decision letter. Current families will receive notification at the time they are asked to reenroll at Hawken. While Hawken has a generous Flexible Tuition budget, it is not unlimited. For that reason, it is very important that families follow the Flexible Tuition application timeline in order to receive full consideration for reduced tuition. Are all students who are offered admission also offered Flexible Tuition if their parents qualify? Unfortunately, Hawken does not have the resources to offer Flexible Tuition to every student who qualifies for both admission and a reduced tuition. A student may be admitted to the school but waitlisted for Flexible Tuition. What factors are considered when determining Flexible Tuition? Hawken School uses the calculations provided by SSS as a starting point in determining the demonstrated need of a family. Other factors considered include the information provided by tax forms, the number of children in tuition charging schools, and any extenuating circumstances. Additional criteria are used for those who are self-employed or own a business or farm, or if there is a non-working parent whose children are of school age. If we pay a reduced tuition this year, will we pay the same amount in future years? Do we need to apply again? Current families who are receiving reduced tuition can expect to receive similar levels of funding each year if their financial circumstances remain the same. Typically, families take on part of any annual tuition increase and Hawken takes on part as well. However, every family must reapply for Flexible Tuition each year and meet all stated deadlines. If the current financial picture for a family changes, the amount of reduced tuition may be adjusted accordingly. Families should request a copy of the SSS report each year to better ascertain eligibility for Flexible Tuition. Families who submit late applications may not be considered for reduced tuition, reflecting the remaining budget at that time. Is there consideration for families with multiple children who attend tuition charging schools? The Flexible Tuition Committee uses the SSS methodology as the basis for its determination of what a family might reasonably expect to contribute toward educational expenses. The total amount available from a family for education costs is divided among all children attending tuition-charging schools, through the undergraduate degree level. It is Hawken’s policy that a family requesting aid from Hawken will also apply for aid at all other tuition charging schools. Are there other scholarships available at Hawken? The majority of Hawken’s tuition reductions are based solely on a family’s demonstrated financial need. In addition, a highly selective group of new Upper School students entering ninth and tenth grade will be eligible for merit scholarships through the James A. Hawken Scholarship Program, based on the strength of their academic record, personal qualities and anticipated future contributions to Hawken School. Hawken does not offer athletic scholarships of any kind. How do families with multiple households file for Flexible Tuition? Each parent/guardian household must submit a separate SSS application along with all tax documents and required forms to be considered for Flexible Tuition. Consideration of all available resources from both parents/guardians and their spouses or live-in partners will be based upon the belief that a family’s contribution for education is a reflection of “the ability to contribute, not the willingness to contribute,” which is standard NAIS/SSS policy. As a result, the School is not bound by existing decrees, agreements or arrangements exempting a parent from financial responsibility for her/his child’s education. All financial information is kept strictly confidential and at no time will one household have access to the others’ information. If a parent is no longer involved in the life of the child in any way, please speak directly with the Admission Office at Hawken to determine how to proceed. Hawken awards a single grant to the student and it is the responsibility of the parents to determine a payment schedule structure. If we receive a Flexible Tuition decision and feel we still cannot afford to send our child to Hawken, is there an appeal process? Families may appeal a Flexible Tuition decision by submitting a written appeal outlining the reasons why they feel the reduced tuition amount is not sufficient. Hawken expects that any family making an appeal will have reviewed the SSS Report of Family Contribution prior to making a request. Hawken strives to make decisions that are fair and equitable for all families applying for reduced tuition. Families who apply for Flexible Tuition but do not qualify have several options, including a variety of payment plans. What does Flexible Tuition cover? Flexible Tuition is applied to the published Tuition and Fees schedule for each grade level, which includes lunch, books for students in PS-8th grades, general technology fees, athletic physical education fees, class trips and Upper School intensive classes. Middle and Upper School families who pay reduced tuition will receive a cost reduction to assist in buying required tablet computers, according to the purchase policy/ schedule established by the Technology Department. Costs not included in tuition and fees include optional transportation fees, instrument rentals, some incidental athletic fees (gym uniforms, etc. ), before and after care costs, summer courses and books for students in Grades 9-12. Other costs may include Tuition Refund Insurance, which is dependent upon the payment plan option selected. 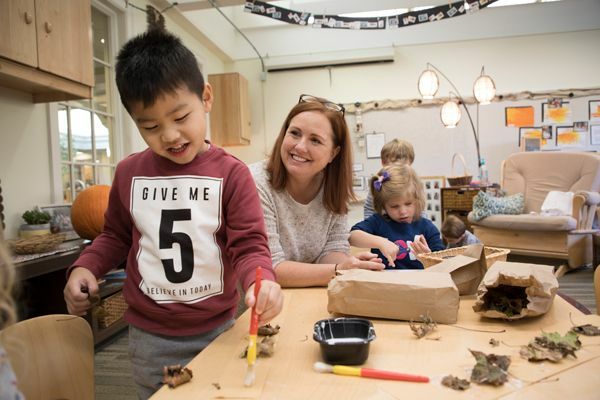 Paying private school tuition at the primary and secondary school level is a commitment for all Hawken families, whether they pay reduced tuition or the full amount. SSS calculations expects a family to allocate only a portion of their discretionary income to tuition payments, allowing for some college savings as well. We believe a Hawken education impacts the character and intellect of a young person and provides the foundation for important skills such as critical thinking, writing, public speaking, independence, resilience, and adaptability. Students emerge from Hawken School with greater college preparedness, maturity and motivation, and hence, choices. Colleges attended by Hawken graduates typically have extraordinarily strong financial aid programs to assist families in financing their child’s education at this next level. In addition, 49% of the Class of 2018 received merit scholarships totaling over $7 million, helping families to offset the costs of college. Are there accommodations available for significant changes in income? Hawken School realizes that some families experience unexpected temporary financial stresses due to the sudden loss of a job, family illness, or other circumstances. Families are strongly encouraged to contact the Business Office or Admission Office as soon as it becomes apparent that there is a change in circumstance. The Business Office is happy to work with families to develop a temporary payment plan during a time of difficulty. Are the filing deadlines important? The filing deadlines are extremely important. In order to make fair, informed, and expeditious decisions for all families it is very important to adhere to the established deadlines. While Hawken’s ability to offer reduced tuitions is significant, there is a limit to the budget. Families who submit late applications for flexible tuition may receive a tuition reduction based on the remaining budget at that time. When a family is unable to obtain all necessary tax documents, a provisional Form 1040 may be submitted. Of course, all awards are subject to verification of the official information when complete. If we do not qualify for a reduced tuition, what can we do? Families who apply for a reduced tuition but do not qualify have several options, including a variety of payment plans. Will we be asked to contribute to the Annual Fund? Families will be asked to donate to the Annual Fund, as it is a vital link to the overall health of the school. Every gift to the Annual Fund, regardless of size, matters. As the parent or guardian of a Hawken student, you may be asked to give of your time, energy, or resources to the extent that you are able. For those with special talents and time, the School is always seeking volunteers to assist with the Parents' Association. All financial information is treated as highly confidential. Only the Financial Assistance Committee will see this information, and only the Committee, Admission Office Assistance, and Business Office will see the award. Division Heads and faculty members are not privy to any financial materials, nor are they aware of which families receive tuition reductions. Hawken School does not offer multi-child discounts. However, Hawken’s Flexible Tuition Program does take into account the number of children from a family enrolled in tuition-charging schools. We encourage any family with multiple children for whom paying full tuition is a challenge to apply for flexible tuition. This is a family of four: two parents and two children, with only one child attending a tuition-charging school. The combined income of the two parents is $126,000. State and federal taxes withheld amounted to $19,000. The family owns their house, valued at $200,000; mortgage and property taxes are $17,000 annually. Assets, including savings, home equity, and investments are $14,000. According to the School and Student Services for Financial Aid (SSS) calculation, the estimated family contribution is $12,500. This is a family of 5, with two working parents and three children attending tuition-charging schools, including one in college. The combined income of the parents is $350,000. State and federal taxes withheld amounted to $116,000. The family owns their house, valued at $360,000; mortgage and property taxes are $29,000 annually. Assets, including savings, home equity, and investments, are $235,000. According to the SSS calculation, the estimated family contribution is $72,000, or $24,000 per child. This is a family of three, with two working parents and one child. The combined income of the parents is $66,000. State and Federal taxes withheld amounted to $5,700. The family rents their home at a cost of $15,000 per year. Assets, including savings and investments, are $10,000. According to the SSS calculation, the estimated family contribution is $5,200. This is an example of a family with multiple households. There are two children, who each attend tuition charging schools. Both households have allowable unusual expenses of $3,000 each. Parent 1 has an income of $80,000, with federal and state taxes amounting to $9,400 and a net worth of $60,000. The house is owned, with an annual mortgage and taxes of $20,000. Parent 2 has an income of $73,000, with federal and state taxes amounting to $11,900 and a net worth of $40,000. The house is owned, with an annual mortgage and taxes of $17,000. According to the SSS calculation, the estimated combined family contribution is $10,100, or $5,050 per child.